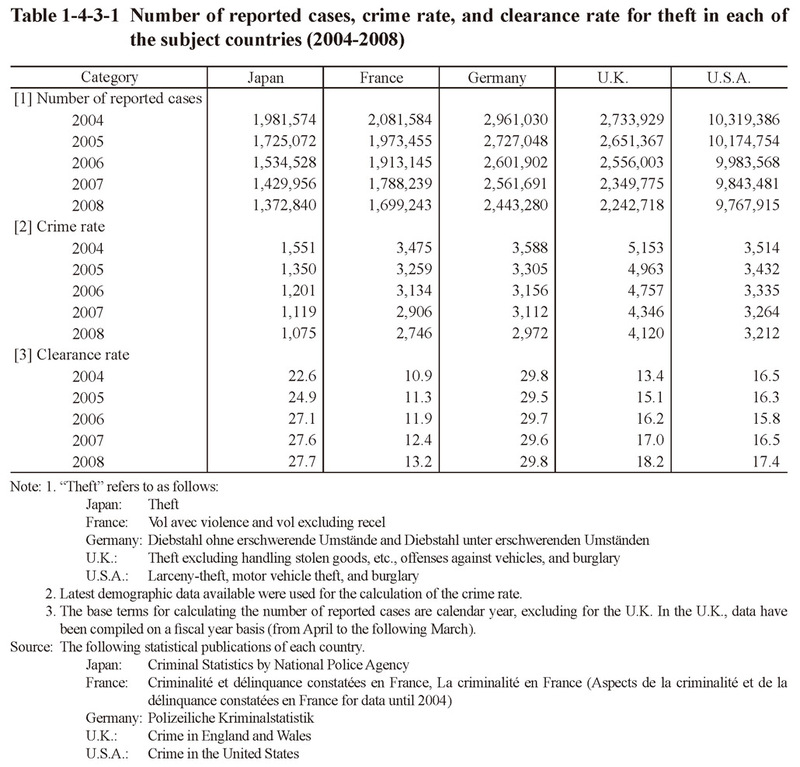 Table 1-4-3-1 shows the number of reported cases, crime rate, and clearance rate for theft in each of the subject countries over the five years from 2004 to 2008 (See Appendices 1-8 and 1-9). 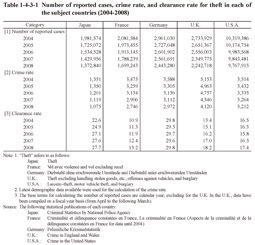 In 2008 the number of reported cases decreased, the crime rate declined, and the clearance rate rose from the previous year in each of the subject countries. A statistical data comparison revealed that the crime rate for theft was lower in Japan than in the abovementioned four countries in the years concerned.